One thing that 5G could make a lot more viable is self-driving and connected cars, as a new trial has shown, because researchers in the Warwick Manufacturing Group (WMG) at the University of Warwick have just set a 5G communications speed record to a ‘Level 4’ low speed autonomous vehicle. The trial used the 28GHz millimetre wave (mmWave) band to send data at speeds of up to 2.867 gigabits per second, which is almost 40 times faster than you’d get with fixed line broadband. To put that into perspective, the researchers note that this is the equivalent of transferring an entire HD film in under 10 seconds, or a detailed sat nav map of the UK in just 1 second. Being able to send data this fast is important, as it will allow vehicles to share data both with traffic management systems and with each other near instantly, which could help with a number of things from optimising the routes they take to avoid congestion, to potentially life-saving things. Because, after all, autonomous vehicles will have their passengers’ lives in their hands, so they’ll need to know and be able to respond to situations on the road as fast as possible. Examples of the information that could be transferred in this way include traffic information, high definition video images of the surroundings, and precise 3D road maps. However, the ability to send and receive data at such high speeds could also transform in-car entertainment systems, since films would instantly be available. The test was carried out using WMG’s 5G mmWave test facility, which is said to be one of the most advanced in Europe, and it’s part of an ongoing series of tests using mmWave spectrum with connected vehicles. But this is just one of a number of recent trials involving autonomous vehicles. FiveAI is currently working towards a driverless car service in London for example, and moving away from cars, another recent trial has been exploring the potential of autonomous drones. 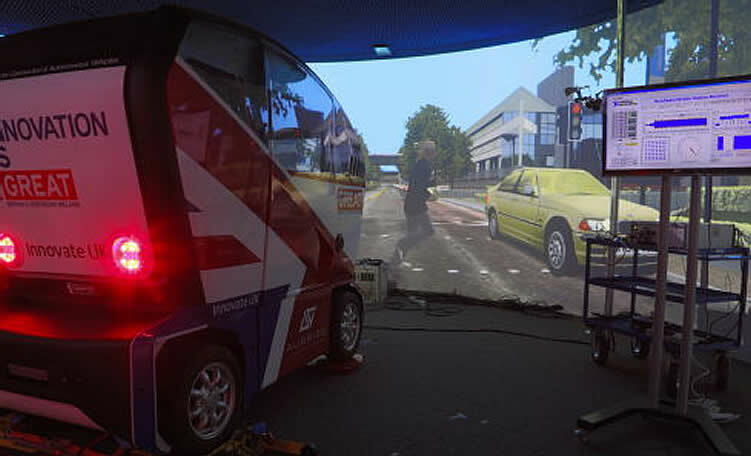 This entry was posted in 5G and tagged 3D road maps, 5G, autonomous vehicle, driverless cars, University of Warwick on September 27, 2018 by Tim Cosgrove.